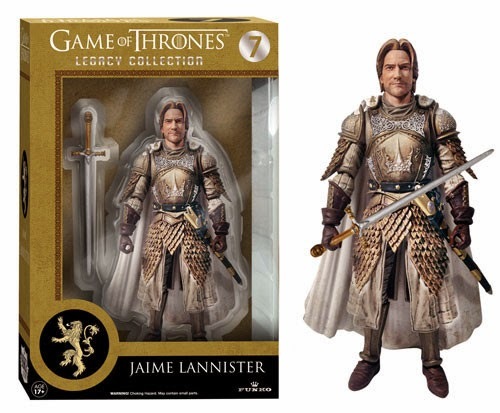 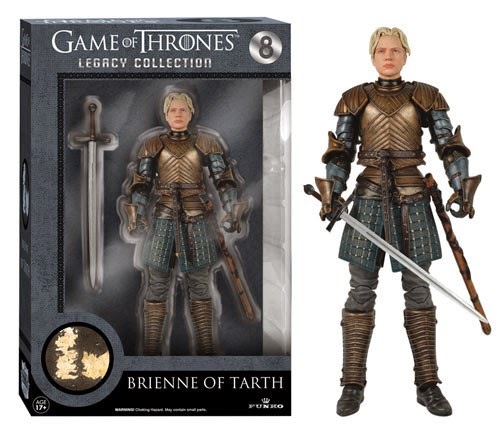 The "Game of Thrones" Legacy Collection debuted this year at the New York Toy Fair and became "one of the most talked about Funko lines of 2014." 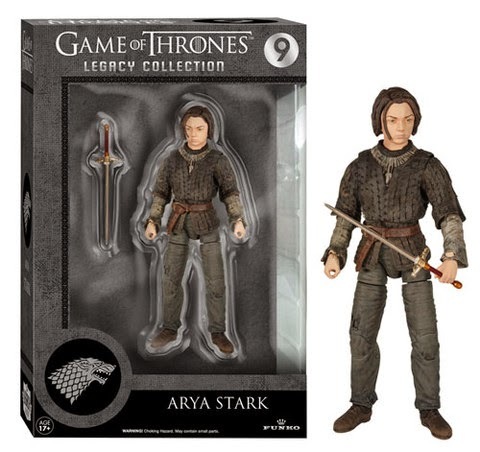 Thanks to its popularity, Funko is continuing the collection by adding six new characters to the series. 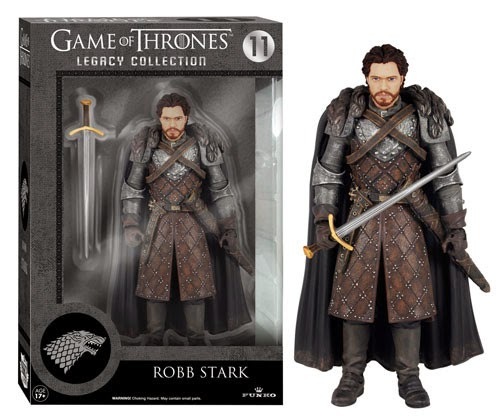 Not only do they look cool but each figure "...will feature 20+ points of articulation and include removable accessories." 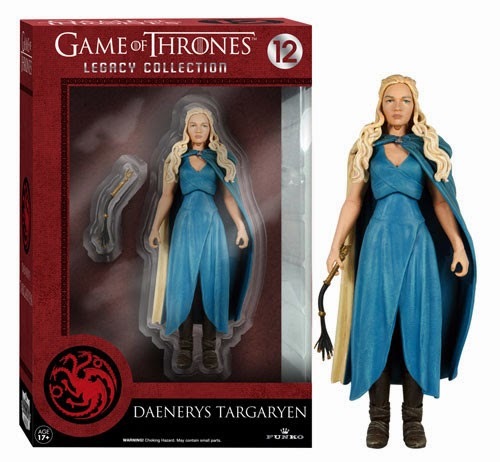 The first wave included: The Hound; Tyrion Lannister; Jon Snow; a White Walker; Ned Stark; and, an earlier version of Daenerys Targaryen. 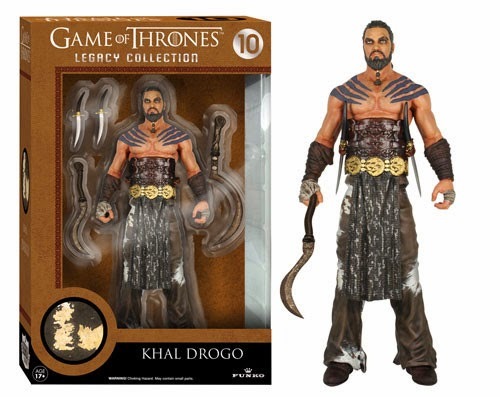 This wave includes a more commanding Daenerys Targaryen along with her deceased love, Khal Drogo. 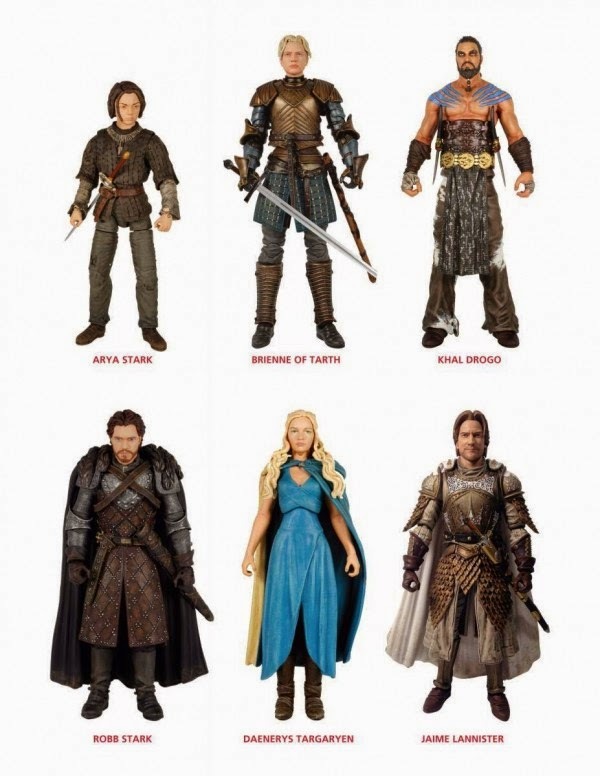 Joining Dany and Drogo are, Jaime Lannister; Arya Stark; Brienne of Tarth; and, the King in the North, Robb Stark.